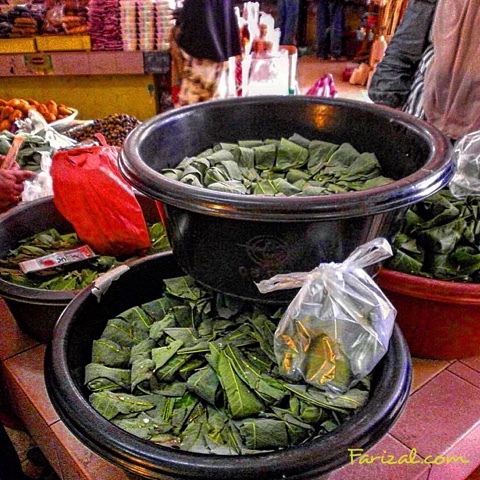 Tapai (ta-pie) or tape (ta-peh), sometimes referred to as peuyeum (from Sundanese language), is a traditional fermented food found throughout much of East- and Southeast Asia. It is an alcoholic paste and has a sweet or sour taste and can be used directly as a food or in traditional recipes. Tapai can be made from a variety of carbohydrate sources, but typically from cassava, white rice, or glutinous rice. Fermentation is performed by a variety of moulds including Aspergillus oryzae, Rhizopus oryzae, Amylomyces rouxii or Mucor species, and yeasts including Saccharomyces cerevisiae, and Saccharomycopsis fibuliger, Endomycopsis burtonii and others, along with bacteria. Tapai is also used to make alcoholic beverages.